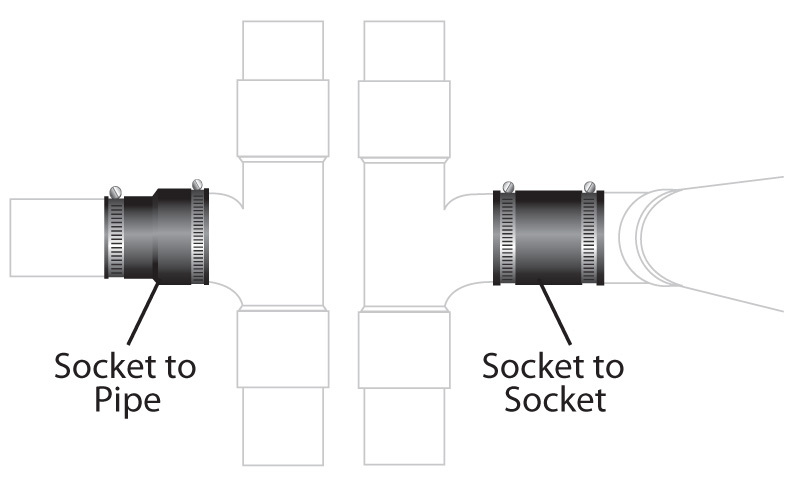 Need a time-saving way to repair or alter plastic pipe joints without replacing existing fittings? 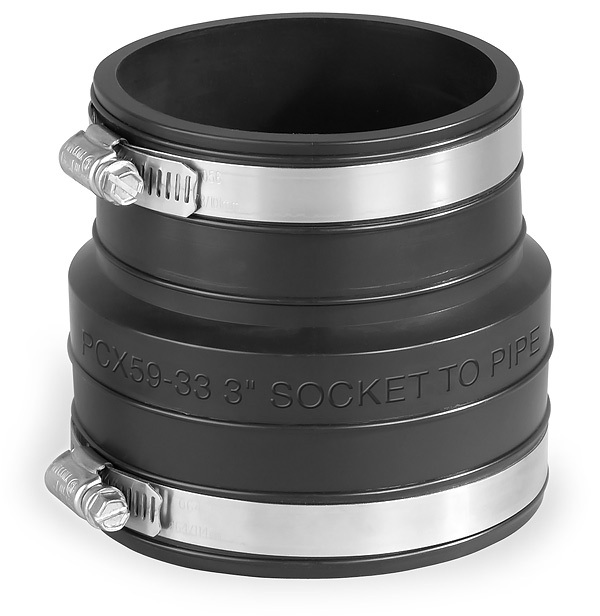 Then you need PIPECONX Flexible Couplings for plastic socket connections. They can be installed at full 4” lengths or can be cut down to 3” or 2” lengths for use in close-quarters applications. Made of flexible, durable PVC, PIPECONX couplings provide a reliable connection over plastic pipes and sockets without the use of messy glues and solvents.